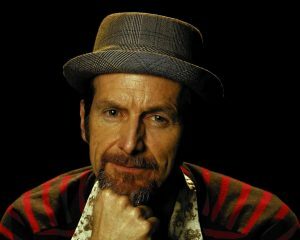 Denis O’Hare is an American actor noted for his award-winning performances in the plays Take Me Out and Sweet Charity. He is also well-known for his portrayal of 2,800 year-old super villain and vampire king of Mississippi Russell Edgington in HBO’s horror fantasy series True Blood. He has an extensive body of work and has had supporting roles in films such as Charlie Wilson’s War, Milk, Garden State, Changeling, Dallas Buyers Club, Quarantine, The Town that Dreaded Sundown & The Pyramid. Since 2011, he has starred as a series regular in the popular horror anthology series American Horror Story appearing in the first season Murder House as Constance Langden’s (Jessica Lange) spurned lover Larry Harvey AKA “The Burned Man”. He returned in its third season, Coven as the house butler Spalding. In Freak Show, he portrayed con artist, Stanley. In the Fifth season’s Hotel he was hotel worker (and fan favourite) Liz Taylor. And in 2016 he returned as Dr. Elias Cunningham on the sixth season’s Roanoke.